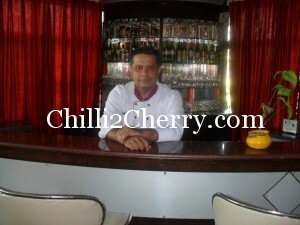 Chilli2cherry.com|| Pulkit Bhambi's | Indian | International | Set of Dishes for Beginners | Recipes,Food & Health related Articles. EXPERIENCE : 06 years hotel experience in Kitchen Department- Le Meridien, Welcomgroup, Park Royal; Teaching Experience since 1996: 8 ½ years as Lecturer in IHM Jaipur till 2005; 1 ½ years as Senior Lecturer in IHM Gurdaspur till July 2006. Awards : Best Faculty for sessions 2008-09 and 2009-10 awarded by Ministry of Tourism Govt. of India ( Ranked 3rd and 6th). Area of Interest : cooking and experimenting with dishes and coaching recruits! chef is of firm belief that one needs to talk to the ingredients so as to create dishes as per liking! !